​As an American translation company, LanguageTran must provide the level of quality and attention to detail that our clients expect when doing business with Germany. Our high-standards and time-tested translation workflows ensure that our German translations are true to the original, accurate, and delivered on time so that you can focus on what really matters: communicating effectively. With highly educated and skilled labor, one the highest standards of living in the world, almost no corruption and a huge industrial base, Germany is the economic workhorse of Europe and the biggest consumer market in the EU. As such, it is the hub of the European economy that attracts business, culture, education, technology, and science investors and innovators. German is the main language of more than 100 million people across Europe and it is the most spoken language in Europe (after Russian). It is recognized as an official language in Germany, Austria, Luxembourg, Liechtenstein and Switzerland. Even though there are many German dialects, some of which are unintelligible to each other, the language is divided broadly into High German and Low German. Standard German emerged as a written language, not a regional dialect but it has significant grammar and syntax differences with colloquial German. Because of these regional differences, LanguageTran provides German translation services that fit specifically with your intended German audience. If your target audience is in a specific geographic region and your document requires a specific German dialect, we take this into consideration and adjust our work accordingly. Germany’s legal system is based on Civil Law, a child of Roman Law which codifies core principles as the source of law. This system is different from the Common Law system, whose framework is established by decisional law created by judges. German legal translators need to understand not only the nuances of legal terminology to render legally accurate translations, but also be cognizant of the differences between Civil Law and Common Law when translating into/from English, since the UK, USA and Canada use Common Law systems. As a source of innovation, production and product and service exports, Germany has a large demand for accurate technical translations into all major languages. High-speed trains in China, complex electrical equipment in the USA and high-tech medical imaging systems are examples of German technical documents that must be translated into the buyer’s language. Technical translations must be highly accurate with terminology that is appropriate for each industry. 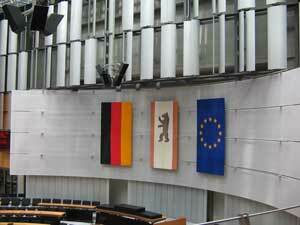 LanguageTran has provided German technical translations for many American and German companies. As the economic hub of the EU, chances are that if you are operating in Europe you will end up doing business in German. Germans are punctual, precise and they expect their counterparts to be the same. A business case must be clearly exposed, with proper verifiable facts and logical conclusions. Germany is the fourth economy in the world, the most powerful one in Europe and the largest American trading partner in Europe. The importance of the Germany as a business powerhouse cannot be understated. For example, it holds the most trade shows in the world, making it a significant business destination. More than 1,000 companies from German-speaking countries have world-wide business interests and many use a professional German translation service to expand their markets. The expert German translators of LanguageTran are ready to serve your technical, legal, medical and business German translation needs. Give us a call today to learn how we can help you.